If we're going to manage water resources responsibly, we must begin by knowing the amount of water in streams and how it varies over time. 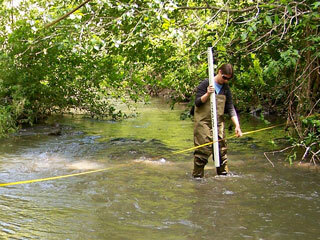 Streamflow data gathered by CEMAR's conservation hydrology program are essential both for accurately characterizing the existing flow regime, and for designing new water management guidelines that support human uses while minimizing ecological impacts. 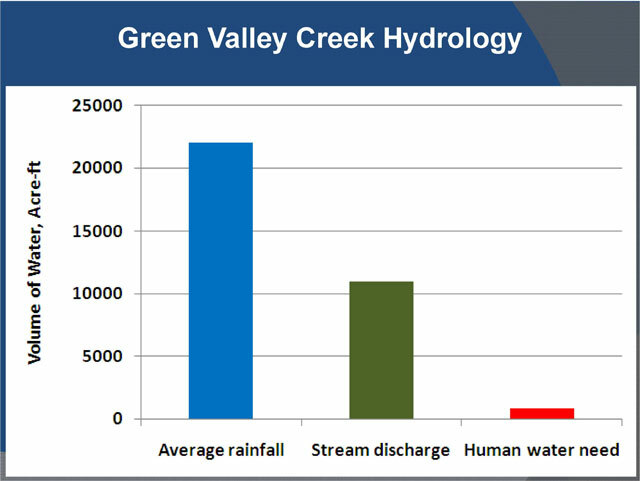 When we measure streamflow, and compare available water to human uses, we very frequently find a situation such as that shown below for Green Valley Creek in Sonoma County. Clearly, there is more than enough water in the stream to satisfy human water needs. The challenge comes from our Mediterranean climate, where typically less than 10% of our rainfall occurs during the summer and fall. 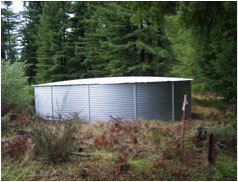 This results in increased human water needs during the summer when it is hot but streamflows are low. A key focus for CEMAR's conservation hydrology program is to increase the amount of water available for streams during summer months by reducing human diversions in the summer, primarily through projects for small-scale storage (tanks or ponds) of ample winter streamflows. Empirically gathered streamflow data can be used to assess impacts of existing water management practices, as well as the range of impacts (and as applicable, benefits) that changes in water management practices can have on streamflow. Learn more about CEMAR's streamflow measurements, including links to real-time streamflow data in several watersheds, at CEMAR's streamflow data center. 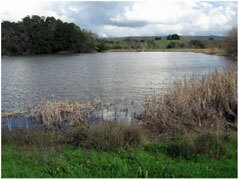 Pursuing innovative, collaborative approaches to restore California's coastal ecosystems.